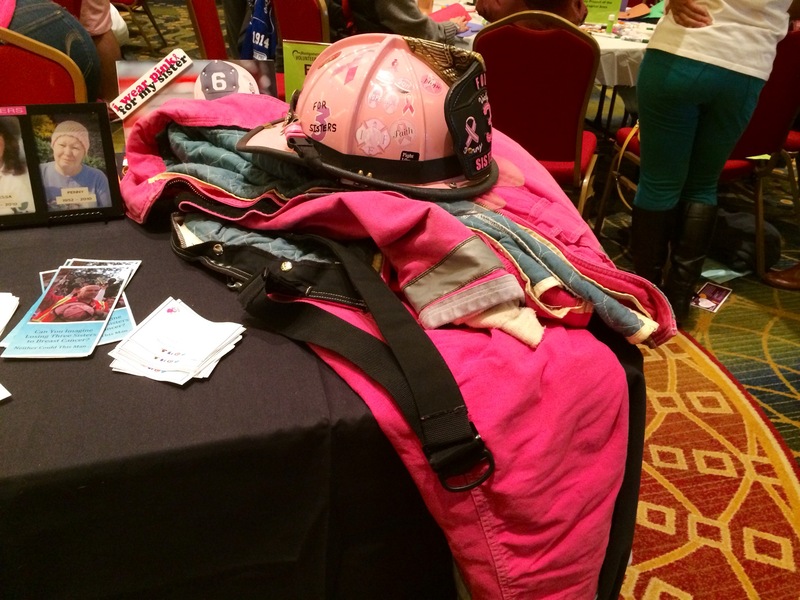 Walking through a recent volunteer fair in Montgomery County I was intrigued by a table with a man in a pink firefighter’s uniform greeting the crowd and handing out pamphlets. As a journalist I am always interested in learning about someone’s “story.” Little did I know when I walked up to the table that I’d be hearing a tragic story from someone who has put his grief into actions, dedicating his life to finding hope in his loss. 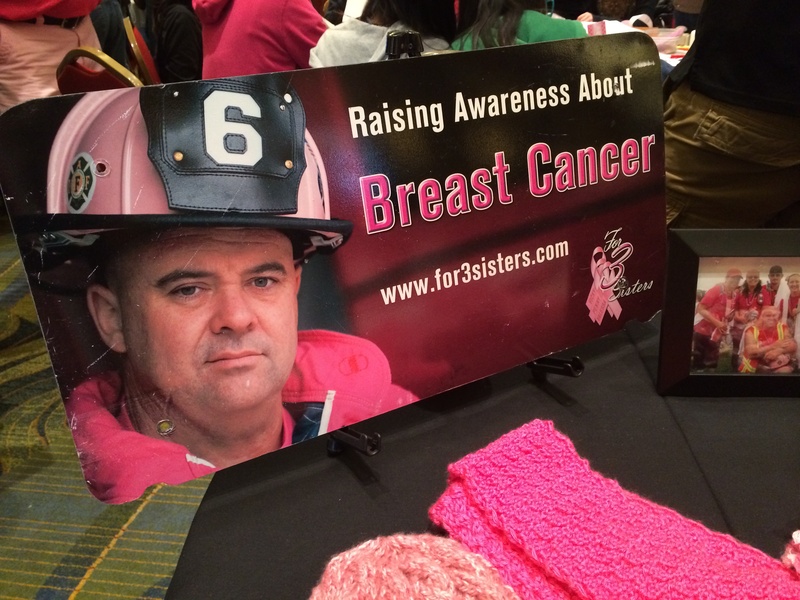 Marshall Moneymaker, a retired career firefighter for Montgomery County Fire and Rescue Services, faced the unimaginable – he lost three of his sisters to breast cancer over the course of two years. While he was helping his sisters through their diagnosis and treatment, he realized there was something missing and decided to take action. “When a person is diagnosed there’s no more well you could try here or you could try there, we want someone to take some of our pamphlets and say start here because we can do that for them,” Moneymaker said. He said finding resources while trying to manage the treatment and emotions that go with a cancer diagnosis is extremely difficult. 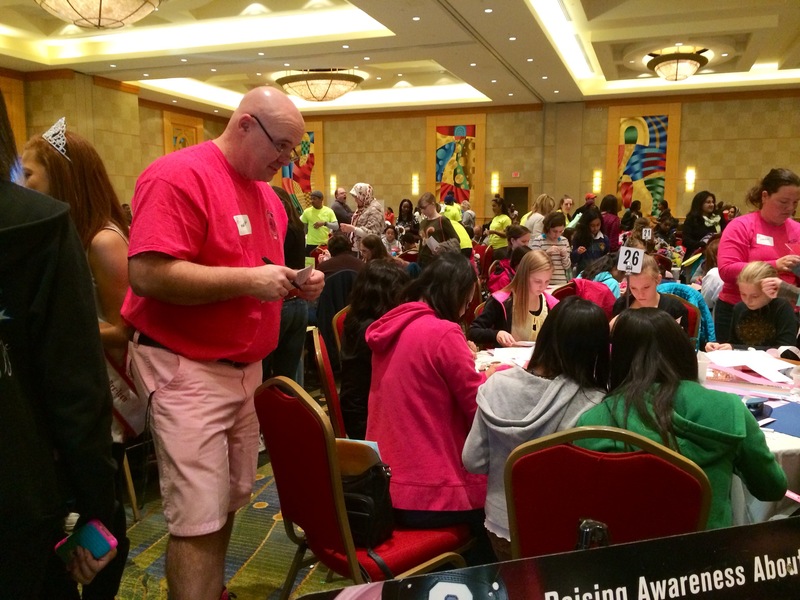 His organization, For 3 Sisters, seeks to change that. So Moneymaker retired from his position at the fire department and his wife Shannon quit her corporate job so that they could focus their time on giving back to others going through similar situations. One patient who received the pamphlets and information from “For 3 Sisters” when she was diagnosed with breast cancer said she’s grateful that Marshall and his wife were there when she needed some direction. “For 3 Sisters” put Southern in touch with organizations that gave her donated gift cards to help with groceries and helped set up a survivor photo shoot to document her journey. “Marshall and his wife Shannon are absolutely wonderful and I consider them a part of my family now,” she said. The “Road to Resources” program helps men and women during and after their breast cancer journey to help find resources that ease the burden of the diagnosis and improve their quality of life. “McKenzie’s Corner” corner, named after Shannon’s niece who is battling a brain tumor, is a program centered around getting parents to have a conversation about being healthy. The “Power of One” program is a community outreach program that works to raise awareness about breast cancer and early detection. Find more information about “For 3 Sisters” and their programs through their website here.